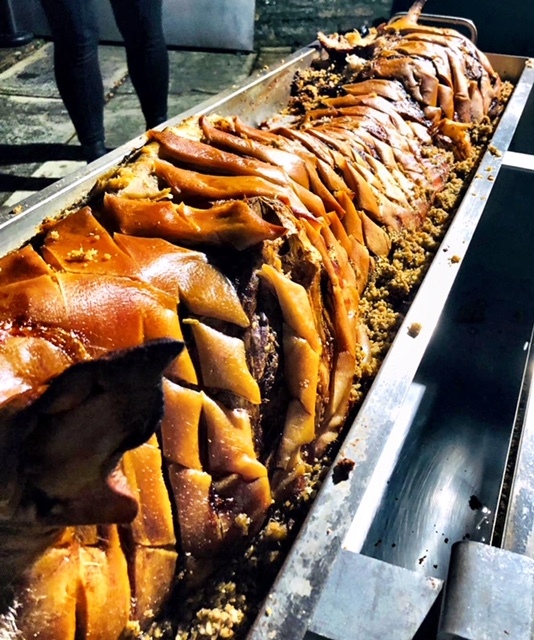 Our experienced team members at Hog Roast Birchwood have been providing hog roasts, spit roasts, barbeques and all kinds of other food for many years now, to thousands of satisfied customers both locally and further afield. We cater for all numbers, whether you have invited just a few guests or you have several hundred or more, and we can cater any type of event or party that you can think of, including weddings, birthdays, christenings, retirements, school fairs, and corporate hospitality. Whatever you have in mind, we will make it happen in terms of delicious, fresh, homemade food, served by professionals who care. For a birthday that we catered over the weekend, Hog Roast Birchwood was asked to make our lovely pigs in buns for sixty guests, as well as to provide a gluten-free option. Whatever dietary needs that you or your guests may have, we will work hard to make sure it’s catered, as long as we have advanced notice. For this birthday celebration, we let the customer know that the guest with the gluten intolerance or allergy could enjoy the same pigs in buns as everyone else, just with suitable bread rolls that we’d bring along. This was great news for our customer, who asked us to do just that. On the day of the birthday, our Hog Roast Birchwood chef and team set up our equipment at the venue – a large local community hall. We cooked and served the food outside for this party, though we can often cook indoors if needed instead, as long as there is enough space and ventilation. First of all, our chef prepared the meat by scoring it, adding lots of water to keep it moist and then smothering it in salt to make the crackling, and then we cooked it for several hours, slowly but surely. Once the hog was done to perfection and resting for a short while, we set up our serving tables with lots of fresh bread rolls and wraps, our tangy apple sauce, tasty stuffing, various condiments and serviettes, and then it was finally time for the queues to begin so we could feed the guests our scrumptious pigs in buns. 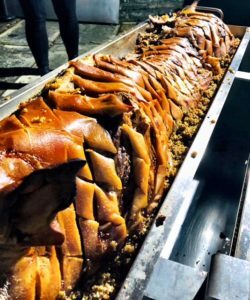 Winter School Fair Catering By Hog Roast St Helens! Copyright © 2019 Spitting Pig Cheshire . All Rights Reserved.